The Ministry of Electronics and Information Technology is a part of the Union Government of the Republic of India. It was carved out of Ministry of Communications and Information Technology on 19 July 2016. Please visit www.digitalindia.gov.in for more information. The Ministry of Environment, Forest and Climate Change (MoEFCC) is the nodal agency in the administrative structure of the Central Government for the planning, promotion, co-ordination and overseeing the implementation of India's environmental and forestry policies and programmes. Please visit www.envfor.nic.in for more information. Please visit www.dhi.nic.in for more information. The NITI Aayog, also National Institution for Transforming India, is a policy think tank of the Government of India, established with the aim to achieve Sustainable Development Goals and to enhance cooperative federalism by fostering the involvement of State Governments of India in the economic policy-making process using a bottom-up approach. Please visit www.niti.gov.in for more information. The Ministry of Micro Small and Medium Enterprises, a branch of the Government of India, is the apex body for the formulation and administration of rules, regulations and laws relating to micro, small and medium enterprises in India. Please visit www.msme.gov.in for more information. The Ministry of Road Transport and Highways, is a ministry of the Government of India, is the apex body for formulation and administration of the rules, regulations and laws relating to road transport, and transport research, in order to increase the mobility and efficiency of the road transport system in India. Road transport is a critical infrastructure for economic development of the country. It influences the pace, structure and pattern of development. In India, roads are used to transport over 60% of the total goods and 85% of the passenger traffic. Hence, development of this sector is of paramount importance for the India and accounts for a significant part in the budget. Since May 2014, the Minister for Road Transport and Highways is Nitin Gadkari. Please visit www.morth.nic.in for more information. Please visit www.dst.gov.in for more information. The Ministry of Water Resources, River Development and Ganga Rejuvenation is the apex body for formulation and administration of rules and regulations relating to the development and regulation of the water resources in India. The Ministry was formed in January 1985 following the bifurcation of the then Ministry of Irrigation and Power, when the Department of Irrigation was re-constituted as the Ministry of Water Resources. In July 2014, the Ministry was renamed to “Ministry of Water Resources, River Development & Ganga Rejuvenation”, making it the National Ganga River Basin Authority for conservation, development, management, and abatement of pollution in the river Ganges and its tributaries. Please visit www.wrmin.nic.in for more information. The Government of Karnataka is a democratically elected body with the governor as the constitutional head. The governor who is appointed for five years appoints the chief minister and on the advice of the chief minister appoints his council of ministers. Even though the governor remains the ceremonial head of the state, the day-to-day running of the government is taken care of by the chief minister and his council of ministers in whom a great amount of legislative powers are vested. Please visit https://en.wikipedia.org/wiki/Government_of_Karnataka for more information. Please visit www.3ds.com for more information. Please visit www.ramboll.com for more information. Please visit www.schindler.com for more information. Established in 1926, the All India Institute of Local Self-Government (AIILSG), has been the steadfast friend, philosopher and guide to Urban Local Bodies (ULBs) across the Country. For more than eight decades it has contributed to the principles and practice of urban governance, education, research and capacity building. It has designed and developed a vast array of training literature and courses and trained more than 1.5 million stakeholders in diverse areas of urban governance and urban services delivery. These activities of the AIILSG are practiced through 30 regional centres spread across the Country. The Institute anchors the Regional Centre of Urban and Environmental Studies (RCUES) of the Ministry of Urban Development, Government of India for Western India region. This Centre is actively involved in building capabilities of municipal officials, staff and elected members from the States of Goa, Gujarat, Maharashtra, Rajasthan and the Union Territories of Diu, Daman, and Dadra & Nagar Haveli by upgrading their knowledge and skills required for effective administration and implementation of various urban development programmes. With a view to cater to the growing requirement of ULBs in regard to services, the AIILSG runs specialized capacity building institutions such as the National Fire Academy, the Nrupur Institute of Nursing Science and Research and the Centre for Environment & Disaster Management at Vadodara, PRUDA at Ahmedabad, National Resource Centre for Urban Poverty, International Centre of EQUI-T, the Disaster Management Cell and the Centre of GIS at Pune. It runs the Solid Waste Management Cell of the Government of Maharashtra. In recent years, AIILSG has ventured into rural and tribal capacity building and handholding of rural institutions of self-governance. Over the years, AIILSG has organised local, national and international seminars and conferences to foster debate on issues of urban relevance with a view to dissemination of ideas, better understanding and policy advocacy. It has undertaken a wide gamut of projects to assist states and organisations in the delivery of specific outputs that they have sought. In all that AIILSG has done, it has taken care to work with a full range of stakeholders-grassroots organisations, NGOs, ULBs, state and national governments, international organisations, organisations of the UN, research organisations and universities. The Institute has organised several tailor-made capacity building programmes for various countries in South Asia, viz, Bangladesh, Nepal, Sri Lanka and in other regions, including South Africa, Ethiopia, Indonesia, Malaysia, China, etc. The Institute has linkages with renowned international organizations including UNCHS (Habitat), UNDP, UNICEF, UNFPA, WHO, DFID, CITYNET, CLGF, US-AEP and the Ford Foundation. It is the anchor institution for Urban Management Programme (UMP - UNCHS - Habitat) for South Asia. Please visit www.aiilsg.org for more information. ICLEI - Local Governments for Sustainability is the world's leading association of more than 1000 metropolises, cities, urban regions and towns. 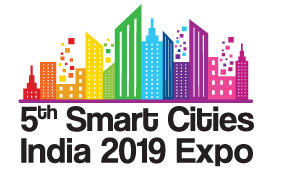 ICLEI South Asia - the South Asian arm of ICLEI - Local Governments for Sustainability, aims to build and serve a regional network of local governments to achieve tangible improvements in regional and global sustainability through local initiatives. Over 10 years, ICLEI South Asia has emerged a strong and vibrant local government association with a membership base of over 60 cities. We promote local action for global sustainability and support cities to become sustainable, resilient, resource-efficient, biodiverse, low-carbon, productive, ecomobile; to build a smart infrastructure; and to develop an inclusive, green urban economy with sustainable procurement with the ultimate aim of achieving healthy and happy communities. ICLEI also strengthens North-South and South-South cooperation to advance sustainability at the local regional and sub-national level. We work with South Asian cities with funding support from various national and international partners by offering various opportunities such as participation in programs and projects, technical inputs, information services, trainings, conferences and workshops. We also share our expertise, reach out to cities, initiate interaction and mobilise funds. Facilitating peer learning, city-to-city exchanges and networking and supporting development and implementation of demonstration projects are some ways in which we strengthen the capacities and technical know-how of cities that we work with. With over 35 professional staff including urban planners, energy managers, environmental planners, transportation engineers, ecologists and environmental engineers, ICLEI South Asia brings a varied capacity to support South Asian cities on multiple aspects of sustainable development. Please visit www.iclei.org for more information. The history of United Cities and Local Governments Asia Pacific (UCLG ASPAC) starts with the emergence of the International Union of Local Authorities (IULA) which was established in 1913 in Belgium with its headquarters in The Hague, Netherlands, while IULA ASPAC, headquartered in Jakarta, was set up in September 1989. UCLG ASPAC is one of the Regional Sections of United Cities and Local Governments (UCLG), an amalgamation of International Union of Local Authorities, United Towns Organization (UTO), and World Association of the Major Metropolises (METROPOLIS). UCLG was established on 1 January 2004 and is headquartered in Barcelona, Spain. UCLG is a worldwide association, and the only local government organization recognized by the United Nations. Please visit www.uclg-aspac.org/en for more information. Please visit www.connectedvehicle.org for more information. Having recently celebrated our eighth birthday, FINISH society (Financial Inclusion Improves Sanitation and Health) is a multistate not-for- profit NGO registered in 2010 under the Societies Registration Act 1860. Initiated in 2009 by an Indian-Dutch consortium comprising financial institutions, insurance companies, NGOs, academic and government institutions from India and the Netherlands, FINISH society was born out of the FINISH program. Its main objective is to support and facilitate construction of safe sanitation systems for communities in rural India. We do this through mobilizing demand and supply-related measures, including financial incentives for development. Please visit www.finishsociety.org for more information. India BIM Association’s (IBIMA) vision is to serve as the voice of India’s BIM community, IBIMA represents, supports and advocates on behalf of the entire Indian BIM community to build a positive business environment for the efficient deployment of BIM, for all engaged in utilizing BIM technologies, processes and protocols in India. We at IBIMA intend to take this further with the right opportunity and environment with non-political and non-profit agenda. India BIM Association is established on 12th May 2016. We are glad to inform you that India BIM Association is firmly moving ahead in spreading BIM awareness to the Indian AECO industry and academia with IBIMA reaching to nineteen thousand Indian members asper 28th Dec 2017. India BIM Association is also a strategic committee European BIM Summit member. Please visit www.ibima.co.in for more information. Society of Manufacturers of Electric Vehicles (SMEV) is a perfect platform to learn, share and experience as we move forward into an age where alternative energy efficient modes of transportation would be in demand. It is committed to provide active support to EV industry and Government of India in shaping up the right future for Electric Vehicles and to put India on the Global map of EVs. SMEV assists in creating a comprehensive ecosystem that accentuates the positives and mitigates the negative impact of EVs on our environment and Indian economy. SMEV is based at New Delhi, India and comprises of the members including; Electric- Four/Three Wheeler Manufacturers, Electric- Two Wheeler Manufacturers, Electric Vehicle -Auto Components Manufacturers. Some of the objectives of SMEV include; assisting Government in implementation of NEMMP 2020 plan, assisting manufacturers in understanding and implementing the NEMMP to gain optimum benefits, persuading nodal agencies for faster implementation of pilot projects, supporting the manufacturing sector to gain maximum benefits of carbon credits, become the knowledge center for promoting indigenization of imported products, assisting in exports of EVs, catalyze a favourable business environment with investment opportunities in the Indian EV industry. Please visit www.smev.in for more information. Please visit www.worldautoforum.com for more information. Skill Council for Green Jobs has been created as part of Skill India Mission to act as an interphase to understand and address skilled manpower requirement of the Green Business Industry. Skill Council for Green Jobs is promoted by the Ministry of New and Renewable Energy and Confederation of Indian Industry. It is managed by an industry led Governing Council to meet skill requirements for Green Businesses. It acts as a bridge between the Government, Industry and various key stakeholders for developing strategy & implementing programmes for Skills Development, correlated to Industry needs and also aligned to international best practices. Please visit www.sscgj.infor more information. The Council on Energy, Environment and Water (CEEW) is one of South Asia’s leading not-for-profit policy research institutions. The Council uses data, integrated analysis, and strategic outreach to explain – and change – the use, reuse, and misuse of resources. It prides itself on the independence of its high-quality research, develops partnerships with public and private institutions, and engages with wider public. In 2019, CEEW once again featured extensively across nine categories in the ‘2018 Global Go To Think Tank Index Report’. The Council has also been consistently ranked among the world’s top climate change think tanks. Follow us on Twitter @CEEWIndia for the latest updates. Please visit www.ceew.in for more information. Please visit www.delhi.tie.org for more information. Please visit www.about.bnef.com for more information. Please visit www.boci.org.in for more information. Please visit www.naredco.in for more information. CITS 2019, concurrently held with the 11th China (Guangzhou) Int’l Integrated Housing Industry & Building Industrialization Expo (CIHIE 2019), is expected to span over 35,000 sq.m with 360+ exhibitors, hosting 32,000+ visitors. So far, over 30 exhibitors at home and abroad have confirmed their booths, producing industrial and commercial tents, and Sunshield, Valenmis, producing sunhouses. CIHIE 2019 will provide you with a wide choice of makeshift accommodation and storage solutions, including prefab houses, containers home, light steel frames, wooden structures, and etc. Please visit www.tentsexpo.com for more information. To satisfy old exhibitors’ request for booth expansion, as well as to receive increased new exhibitors, CGFF 2019 is scheduled to expand to 2 exhibition halls, totaling 30,000 sq.m (activity area included)! We welcome exhibitors in all sectors, especially in decorative floor paint and sports floor, two of the most talked about products in current China’s floor industry. CGFF 2019 will continue to strive for a leading position in the Asia-Pacific floor industry! Please visit www.gz.cgff.net for more information. As one of the biggest and most professional prefab house fair in China, every year PMMHF treats its visitors with a rich variety of prefab buildings, wooden structures, container homes, steel structures, mobile houses, etc. With concurrent shows covering waterproofing materials, tiles, roof systems, wood products, building facade, wall panels, sauna, pool & spa, flooring materials etc, PMMHF is widely considered as one of the best one-stop purchasing platform, attracting thousands of oversea buyers. Please visit www.pmmhf.com for more information. Please visit www.gz.cihie.net for more information. China Steel Build, One of the leading steel construction & metal building materials trade fair in China. It will be concurrently held with China International Integrated Housing Industry Expo. Please visit www.steelbuildexpo.com for more information. Please visit www.chinavmf.com for more information. Please visit www.cqmcz.com for more information. Please visit www.gswfair.com for more information. Please visit www.roofchina.comfor more information. Please visit www.rooftile-china.comfor more information. Building Façade & Fixtures Indonesia will bring together renowned suppliers and manufacturers who have the newest sought-after technologies, equipment, decorative materials and accessories for building construction, industrial, commercial and residential architecture, and interior design with façade and fixture specializations. Please visit www.buildingfacadefixtures.com for more information. Four Square Media Pvt. Ltd. (An ISO 9001- 2008 Certified Company) is a group of Business Newspapers, established in 1987, publishing Thirteen Business Newspapers. 99 Builders’ Choice is among one of them. It is a monthly newspaper devoted to hardware constructions, sanitary, kitchen, furniture, plumbing, interior industries & market. It covers all types of hardware, sanitary, construction products, Wood , Glass, Allied Industry, technology & trends in every issue. It also covers more than 2000 Products/Spares/Services/Materials related to construction Equipment. Please visit www.99businessnewspapers.com for more information. Serving the business information industry for the past two decades, Expogroup is one of the foremost organizer of trade events and publisher of business publications in Africa. 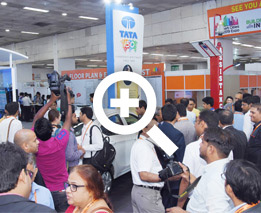 Currently, we have a portfolio of over 25 annual events, 8 publications and 14 portals on various business sectors. Ibn ahmed united enterprises – proudly launching the “BUMA” Oman Building Materials Guide is a booklet for the manufacturers, wholesalers, suppliers & retailers. Source of informative information for the new materials of building construction. Distribution will reach to the target industries like construction companies, engineering consultant, building retailers, walk in customers & etc. Many types of Building materials are used in the building construction and construction industry to create buildings and structures. These categories of materials and products are used by architects and construction project managers to specify the materials and methods used for building . Please visit www.omanbuildingmaterials.com for more information. Leading bi-monthly business magazine from Era Fame Media Group, offers you the latest updates on Projects, Real Estate scenario, Modern trends, Architecture marvels, New product reviews & Sector update. It offers readers in-depth analysis on the latest happenings and focuses on interviewing the industry professionals, whilst including the feature articles & Industry top news on Infrastructure, Construction, Architecture industry etc. Editorial addresses a range of sectors comprising a blend of News, Projects Update, Technology developments, Product Update Insightful Interviews with industry professionals like Architects, Builders, Consultants, Interior Designers, etc along with the environmental and other features at a national level. Major issues include Top Architects, Eminent Builders, Mega Projects by Infra Cos., Modern Interior vs. Contemporary design, Best of Designs, Green Building, Landmark Projects etc. Please visit www.constructionarchitectureupdate.com for more information. HomeGrid Forum (HGF) is an industry alliance that started in 2008 and the first HGF certified product was deployed in 2013. HGF brings together the world’s best in technology innovators, silicon vendors, system manufacturers and service providers to promote G.hn, the globally recognized gigabit home networking technology based on ITU-T standards. G.hn provides a single service delivery platform for your entertainment, your workspace – all your digital lifestyle needs – across any wire, simply and reliably. Please visit www.homegridforum.org for more information. Hardware Events is a perfect platform to advertise your product and services to the most important segment of opinion influencers. As a vertical publication with precise targeting of its readers. You will have no media wastage normally associated with general News papers. Please visit www.hardwareevents.in for more information. Founded in 1973, KMA Publication Pvt. Ltd has created a niche for itself in the Publishing industry. With the aim to provide latest, authentic and valuable information about construction industry, it launched its first Magazine "Builders' Friend”, which presently is being acclaimed across India for the in-depth analysis of the prevailing market rates of the building materials, thus immensely helping readers in their initiative to build the most cost-effective structure. To bring about more depth and as a natural progression of our initial mission, the company came up with the magazine "Green Construction+Design", that intend at making people aware of the new and creative sales innovations in sustainable technologies and products. Currently, the readership of both the magazine extends beyond 35000 readers. Window & Facade magazine rolled out from the house of F & F Media and Publications as a bimonthly technical journal, Window & Facade Magazine has become Asia's premier medium for the most sought after in the fenestration and facade market to publish, present and market the ideas, innovations and technology. It goes strong in its aim of bringing the latest and best from around the world at your doorsteps before anyone. And at the same time WFM assures the delivery of your information about your product and service at the tables of the decision makers. Please visit www.wfm.co.in for more information. World Construction Today is an information-centric B2B website covering all the major happenings, news and press releases of the construction industry. This information is read and reviewed by the key decision makers in the construction industry. Our aim is to provide the best marketing and communication services for our clients and to provide the most updated credible information for our subscribers. Please visit www.worldconstructiontoday.com for more information. Increased outreach & showcasing their portfolios, getting consultation requests, publishing their views, opinions and case studies, networking with peers, finding detailed specs of products & materials, requesting call backs, site visits and quotations for products or materials of interest, recruting talent for jobs & internships, updates on industry events and, streamlining administrative tasks. Please visit www.zingyhomes.com for more information.